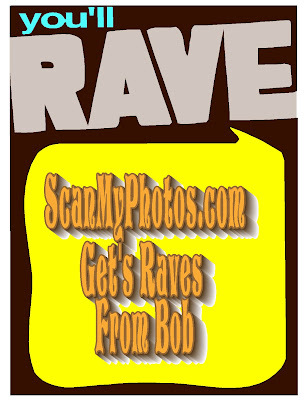 ScanMyPhotos.com Blog: Getting "Raves" from "Bob's Rants"
Thanks Bob Watson! We've been dazzling customers since 1990, but always appreciate raves from new fans too. Click here to read a profile of Bob's experience wih ScanMyPhotos.com or the below text. 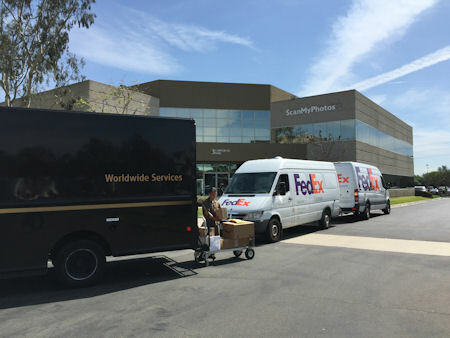 Not so much a rant, as kudos to a service that has been running in Irvine, California, for a while. They scan snapshots, yes those boxes and boxes (and envelopes) of photos you've taken for many years and just dumped. The photos will end up on a DVD, scanned in good quality, ready for printing or enhancement/repair. So many older photos, especially color prints, have degenerated terribly over the years. Capture them NOW for yourself, and your children (and grand-children).